Civil Service Hospital published a notice regarding the vacancy for various posts. The positions will be fulfilled through open competition for one year on contract basis. 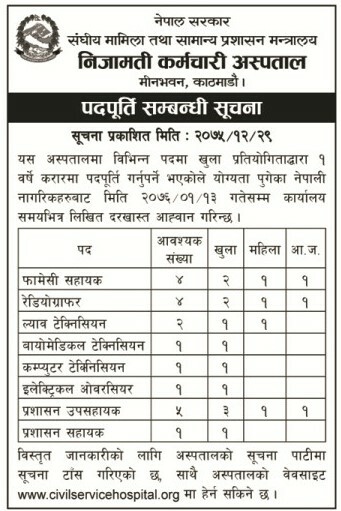 Qualified candidates should fill up the application from by Baisakh 13, 2076 (April 26, 2019).